This Ornamental Shirofugen Cherry doesnt bloom until late May or early June. Prunus serrulata Shirofugen produces beautiful double white flowers, which gradually turn pink. The young foliage is coppery in colour, it then turns green and then orange in autumn. 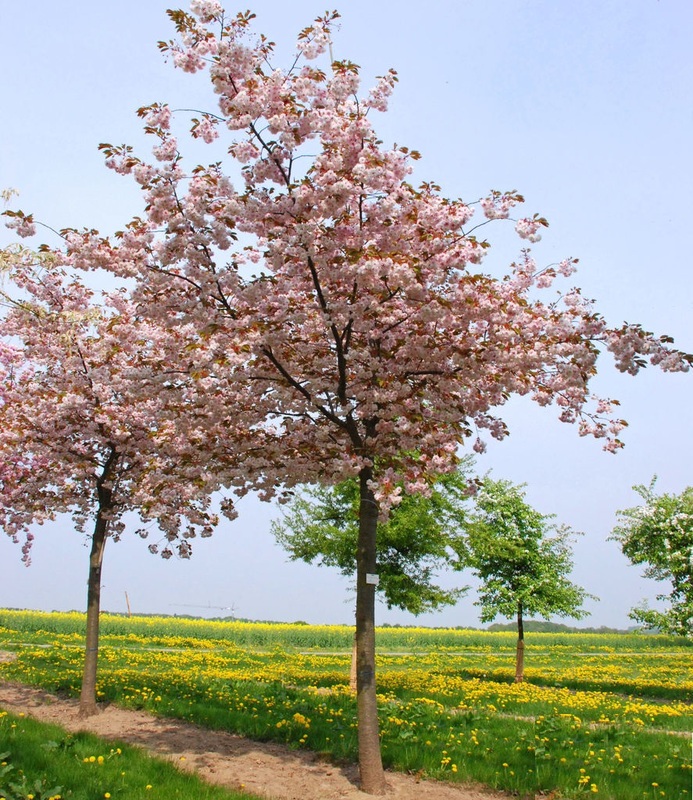 This stunning tree is a great choice for extending the flowering, as it also holds onto them for a very long time. Like many cherries, this tree will tolerate most soil and prefers well drained conditions.